PT Hanjaya Mandala (HM) Sampoerna Tbk. is one of the leading tobacco manufacturing companies in Indonesia. In 2009, Sampoerna held an overall market share of 29.1% of the Indonesian cigarette market and retained the number one market share position. At the end of 2009, Sampoerna and its subsidiaries employed approximately 28,300 people. As the inspiring local company, in May 2005 PT Philip Morris Indonesia, an affiliate of Philip Morris International, acquiring majority ownership of Sampoerna. Minimum 3 years’ experience in communication or related areas. Bachelor Degree, preferably major in Communications, Journalisms or other Social Science related fields. Speak, articulate and have excellent written communication and editorial skills in both English and Bahasa Indonesia. Excellent project management skills (maintains constant communication with colleagues across the department, adheres to deadlines, etc.). Strong presentation skills (possesses ability to make different audiences understand complex ideas/concepts and speak confidently). Air Energi ,With over 30 years’ experience, Air Energi are the premier supplier of trusted expertise to the oil and gas industry. 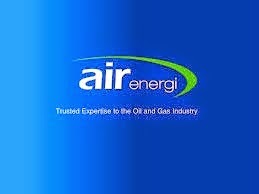 Headquartered in Manchester UK, Air Energi has regional hubs in Houston, Doha, Singapore and Brisbane. We have offices in 35 locations worldwide, experience of supply for 50 countries worldwide, and through our company values: Safe, knowledgeable, innovative, passionate, inclusive, and pragmatism, WE DELIVER, each and every time. B. Sc. Degree in Engineering (other technical backgrounds may be considered). Have between minimum of 10 years of experience in Cementing, CT and stimulation. Have extensive past experience in preparation of Cementing, Fracturing or CT/N2/acidizing tenders, technical proposals, job procedures, post job reports/analyses. Have extensive past field experience in Cementing, Fracturing or CT/N2/acidizing jobs, preferably in an offshore environment. Excellent presentation, technical writing and interpersonal skills. Have strong understanding of Fracturing , Cementing, and Sandstone acidizing fundamentals such as formation damage, candidate selection, treatment fluids design, acid placement and diversion techniques and acidizing additives. Excellent knowledge of Cementing Software, Myers, FrcaPro, or Circa, Cycle, Nodal Analysis (Perform) and other engineering software as well as good command of MS software. Minimum 10-12 years working experience in Indonesia with strong end to end commercial experience in the oil & gas sector. Proven track record of meeting or exceeding sales quotas and ensuring top notch customer service. Deep sales strategy and customer coverage experience. Ability to deal and interact with executive level decision makers. Strong understanding of team performance management and coaching. 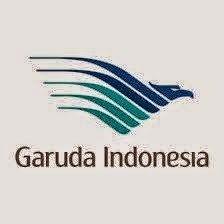 Garuda Indonesia is the Indonesian airline that concept as a full service airline (airline with full service). As a form of concern for safety, Garuda Indonesia has been awarded the IATA Operational Safety Audit (IOSA). This proves that the airline is in compliance with international standards in the field of safety and security. Currently, Garuda Indonesia operates 82 fleet to serve 33 domestic routes and 18 international routes, including Asia (Regional South East Asia, Middle East, China, Japan and South Korea), Australia and Europe (the Netherlands). Our employment opportunities to join us the following position. Min. High School (SLTA) Graduates/SMK, preferred D3 above. Age Min 18 years and max 27 years old. Height min. 158cm, and max 172cm with proportional body weight and postures. Not using eyeglasses, contact lenses are allowed. If you are interested, please send your application you in this link. Bank OCBC NISP (formerly known as Bank NISP) is the fourth oldest bank in Indonesia, which was established on April 4, 1941 in London under the name of NV Nederlandsch Indische Spaar En Deposit Bank. Bank OCBC NISP later developed into a solid and reliable bank, primarily serving the segment of small and medium enterprises (SMEs). Bank OCBC NISP officially became a commercial bank in 1967, foreign exchange bank in 1990 and became a public company in Indonesia Stock Exchange in 1994. This initiative allows the Bank recorded a high growth. With the support of OCBC Bank-Singapore, Bank OCBC NISP has set an aggressive program to strengthen the infrastructure, including human resources, information technology and office networks. We invite the young candidates to join us in the following position. Education Department sun S1 all. Age max 31 years of experience as banks. have Marketing Communication skills and Persuasive that both. have the ability analysis and self-confident that both. For these sections information job vacancy that other him and how to apply, please follow this link. 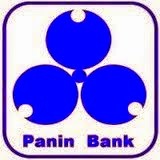 Bank Panin was founded in 1971, and is listed on the Jakarta Stock Exchange in 1982, as the first bank that went Public in Indonesia. Since its inception, Panin Bank management seeks to provide the best results for all stakeholders by maintaining a balance between the application of the principle of prudence and progressive growth. Stay close to the customer base that continues to grow and the selected niche markets, help us understand the needs of a market that is constantly changing, so it is able to deliver timely solutions with a better service. Our motto "always for you" emphasizes reliability and consistency. We invite you to join fill the following positions. Creating and managing organizational structures Head Office and Branch Offices. Making and reviewing the contents of the Power of Attorney and Appointment Letter Position in order to keep updated with the situation and condition of Banking. Officials reported the signing of the BI-RTGS to Bank Indonesia. Report to the Executive Officer of Bank Indonesia. Processing an application for transfer / promotion / rotation of the Division / Bureau related. Men or women aged up to 27 years. Have a minimum of 1 year experience in Banking. Have a GPA of at least 2.75 (preferably majoring in Information Technology and Law). Job Description Understanding of manufacture. For how to register, please follow the instructions on the following link. PT Petrosea Tbk an Indonesian National company with International Capabilities. With over 42 years of experience in Mining, Engineering and Construction, and Offshore Base Services, Petrosea is recognized as one of Indonesia's leading contractors. Petrosea offers a unique and comprehensive array of services to the Indonesian Mining sector and we believe we are the only Indonesian company with the ability to deliver a complete 'Pit to Port' mining solution. Together with its holding company, PT Indika Energy Tbk, Petrosea is able to provide solutions in the total energy supply chain. Understanding the demands of the industry and having the full suites of expertise in Engineering and project management in Indonesia, high-quality construction capabilities, ability to complete complex projects on schedule, local knowledge and focus on human capital management and development, enable us to provide consistent results and positions ourself to meet and exceed the expectations of our customers. We invite you to join us the following position. Monitor and control mining operation in term of support mining project manager to ensure production is achieved in accordance with BMP (Business Mining Petrosea), project parameters, project schedule, budget, in compliance with company’s project safety and environmental policy. Min. 8 years previous experiences in mining operation (production). Lead and monitor mining operations staff on their day to day mining operation, monitor and control mining equipment usage to ensure the safest and efficient mining operations in order to achieve production targets and schedule in line with the mine plan. Develop and monitor weekly, monthly and shutdown schedules for inclusion in the BMP plans by the Senior Mining Engineer. Support and monitor the implementation of long term mine plans and short term detailed mine execution plans at all levels using the BMP process, provide the necessary production parameters needed by BMP on a continuous feedback basis in order to enable short term control achieving the long term mine plan. Prepare timely and accurate information on project progress for inclusion in progress claims and reports prepared by the Senior Mining Engineer. Maintain communication and coordination between Mining operations and Maintenance in order to maximize availability and utilization of all mining equipment. Lead, coach and manage subordinate including recruitment and provide a proper development and succession plan for them, Promote and develop an open ethical work environment in order to maintain subordinate in attract, motive and retain. If you are interested, please send your cover letter to the following email address. 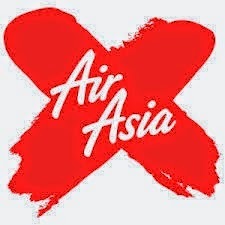 AirAsia is the Asia's leading airline is built on dreams of allowing all people can enjoy the flight. Since 2001, AirAsia directly changing the norms of travel in the world, and appear to be the best. With a fleet of 72, AirAsia flies to domestic and international destinations more than 61 with 108 routes, and operates more than 400 daily flights from its hub in Malaysia, Thailand and Indonesia. Our company is currently opens an opportunity to work for a career with us fill the following positions. For how to apply AirAsia, please follow the link below. If you are interested Jobs in BCA, please register online at this link. Nokia solutions and network (NSN), formerly Nokia Siemens Networks, is a multinational and corporate data networks and telecommunication equipment headquartered in Espoo, Finland, and is a wholly owned subsidiary of Nokia Corporation. 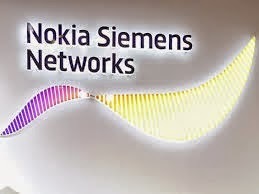 It is a joint venture between Nokia of Finland and Siemens Germany known as Nokia Siemens Networks. NSN has operations in some 150 countries. In 2013, the Nokia acquires 100% of the company, to buy out Siemens AG. Nokia network solution and is a specialist in the world of mobile broadband. From the first ever call on GSM, the first LTE calls, we operate at the forefront of every generation of mobile technology. We invite this country to join with us to occupy the following positions. Plans and performs technical activities to service the customer and brings expertise to customer siteon need basis. The Network Design & Optimization Engineer identifies and solves proactively demanding problems and communicates them to key stakeholders, contributes to develop processes and tools, participates as an expert in own technology area in customer projects and is active in networking and knowledge sharing. Please submit your application via email here. PT Rekayasa Industry (Rekind), established by the Government of the Republic of Indonesia on August 12, 1981 to develop national capabilities in engineering, procurement, construction and commissioning (EPCC) for large industrial plant into a world-class capabilities. PT Engineering Industry (Rekind) is currently one of the leading companies in Indonesia EPCC. EPCC business scope of the company includes: Gas, Geothermal, Refinery, Petrochemical, Mineral, Environmental, and Infrastructure. In addition, the company also provides services for Feasibility Study Project / Plant and Plant Maintenance. Currently we are looking for the best candidates to join us the following position. The candidates shall have a bachelor of engineering degree in Physics Engineering. The candidates shall have a minimum of 17 years experiences as a Instrument Engineer in FEED/EPC Oil and Gas/Petrochemical project. The candidates shall have a minimum of 5 years as a Lead Instrument Engineer in FEED/EPC Oil and Gas/Petrochemical project. The candidates shall have a minimum of 2 projects as a Lead in FEED/EPC Petrochemical in Fertilizer project will be advantages. Other Jobs Recruitment at Nestle and Garuda Indonesia Here!!! PT. Media Televisi Indonesia was granted a broadcasting licence for Metro TV on October 25, 1999. It is a subsidiary of the Media Group, headed by Surya Paloh, the company's President Director, who was a wealth of experience in the local media industry and is the publisher of Indonesia's third largest national newspaper, Media Indonesia. METRO TV looking for professional and highly motivated Fresh Graduates to join our team as a Trainee in several fields. You will get a complete training, combine in class and on the job training. This program is design to develop future leader of the company to deal with competitive business environment. Experienced with Pentaho and/or other ETL Tools. Possess strong knowledge in Relational Data Bases at least one of the following : Oracle, Postgres, MySQL, or others. Possess strong knowledge in one or more scripting language required in data warehousing. Media Indonesia is a national newspaper published since January 19, 1970. Media Indonesia initially consisted of just four pages with its limited. His first Office was located at The Lieutenant General MT Haryono in Jakarta, with the agency that publishes the News Indonesia Foundation. With the tagline ' Voiceless ' Honest, Media Indonesia continues to attempt to display actual news to meet the information needs of the readers. Vision to build an independent daily as well as staring at a better tomorrow remains unchanged. Willing to work outside the Office. PT BNI Life Insurance, national insurance company that is a subsidiary of PT Bank Negara Indonesia (Persero) Tbk., continues to grow its business develops in line with its mission to be the best life insurance service provider in Indonesia. To achieve its mission, BNI Life looking for talents that dynamic, skilled and highly motivated. If you're ready to accept the challenge, please join us by sending your CV cover letter and application. Visit www.bni-life.co.id for more information. 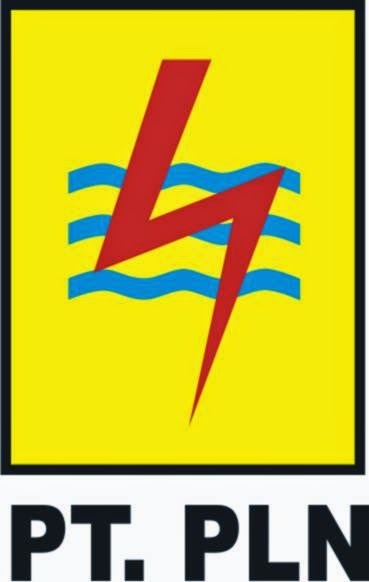 PLN (Perusahaan Listrik Negara),: 'State Electricity Company') is an Indonesian government-owned corporation (BUMN) which has a monopoly on electricity distribution in Indonesia. The PLN is Indonesia's second-largest state company by assets The top level management, headed by the president director, reports to a government-appointed board. PT PLN (Persero) is the largest electricity provider in Indonesia. With a vision to "be recognized as a world class company that Grow cotton, superior and reliable with resting on Human Potential," PT PLN (Persero) is committed to melistriki throughout the country. We believe that human Potential is the greatest asset and our future, therefore we invest big get for wanna-be future leaders who will develop PT PLN (Persero) to become a world class company and face business challenges in the future. Career opportunities at PT PLN (Persero) and its subsidiaries (PT Indonesia Power and PT Evocation of Javanese and Balinese) is very wide because our business ranges from upstream to downstream, ranging from power generation, transmission and distribution of electricity to customers as well as its supporting services. Join us!